In this page we are going to discuss about family of circles.Here concentric circles plays a major role.First let us consider the definition of concentric circles.Two or more circles having same center is called the concentric circles.There are two types in family of circles. Two circles may touch each other either internally or externally. 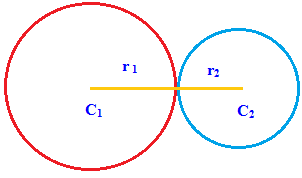 Here the center of two circles are C₁ and C₂ and radius are r₁ and r₂.The distance between their centers is sum of their radii. If the two circles are touching each other externally then they must satisfy the following condition. 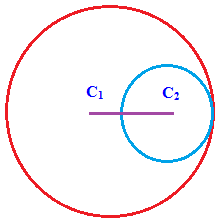 Here the center of two circles are C₁ and C₂ and radius are r₁ and r₂.The distance between their centers is differences of their radii. If the two circles are touching each other internally then they must satisfy the following condition. Show that the circles x² + y² -4x + 6y + 8 = 0 and x² + y² -10x - 6y + 14 = 0 touch each other.Find whether two circles are in which family of the circles/. Center of any circle will be (-g,-f). 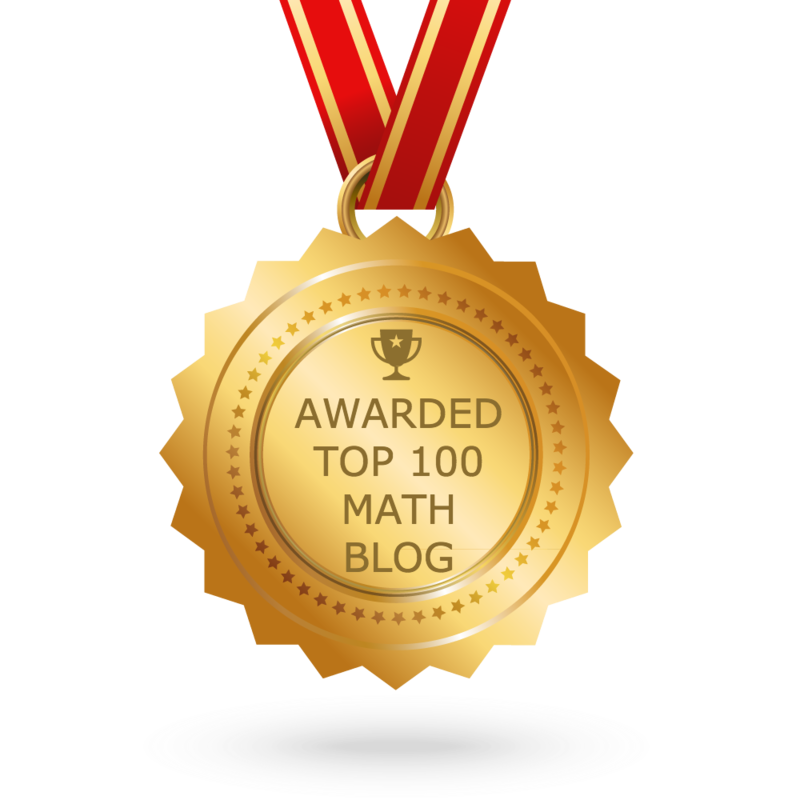 So first let us compare the first equation with the general form of circle to get the value of g and f.